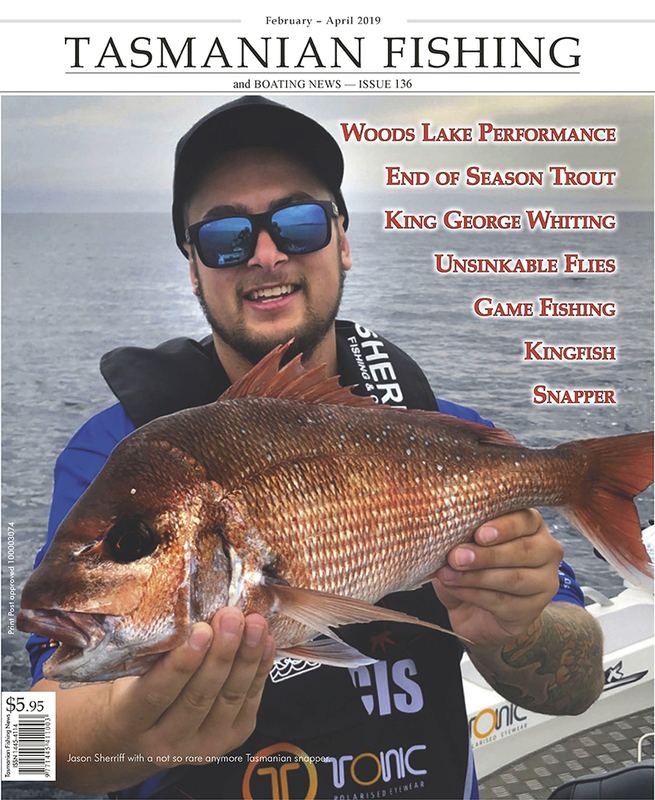 Chris Wisniewski has spent the past 25 years working for IFS – much of it in the Central Highlands based at Tarraleah, Liawenee and Lake Crescent Chris is known to many, simply as Wiz and as well as being the face of the carp eradication program, he is also a passionate angler. Here are some tips, suggestions and observations on some lesser known waters that he believes are under fished. I am probably the most frustrating angler someone could get stuck with. Why? because my very strong view is it is better to get four hours of good fishing in, rather than eight hours of poor fishing. I am a weather tragic and can spend hours in the mornings dawdling around my shack, serving coffee, drinking coffee, and holding court about where to go and what to do. Mostly everyone gets frustrated about not fishing and off they go. The weather in Tasmania can take time to settle during the day and what is happening at 7am is often completely different to the settling weather at 11am. Many anglers drive forty five minutes only to find, as the weather settles, the location is far from ideal. However, I try to make no such mistake, and I head out when I’m reasonably sure the fishing will be good. Photos are at the end of the article. 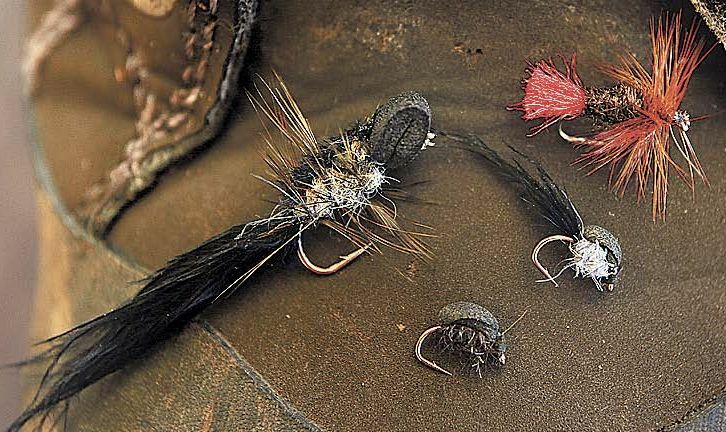 The sight of a taking a floating fly is an image that will stay with you forever. 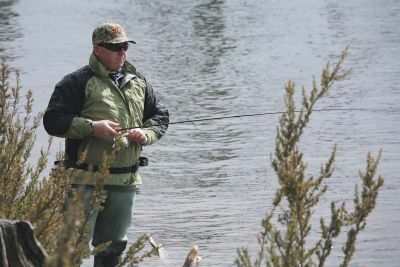 It’s not just the act of a trout taking a floating fly that makes this so special, it’s every second leading up to that point followed by that crucial pause before finally lifting the rod to set the hook and hopefully, feel the weight of a hooked fish. When it all comes together, there’s no better feeling in fly-fishing. Well another season is upon us once more and early season fishing can run hot and cold for this time of the year. With the season start still being in Winter we are still going to have quite a bit of inclement weather to put up with for a month or two. Cold, windy and wet days at times making fishing conditions very hard and every fish well earned for those who tough it out. Then there will be the very clear, cold frosty mornings when the temperature is so low that the water from the line freezes in the rod eyelets preventing one from retrieving the line back in after a few casts with the lure. For those of us who love trout fishing rivers, well that’s just something we take in our stride. Remember to be well rugged up, that’s the main thing, and really you don’t have to get up and be on the water at first light this early in the season either. Well I don’t any way, I start around 9.00 am and still get a good catch on most trips. The Pet and Guide dams are both great waters on the North West Coast, often people over look these great waters. 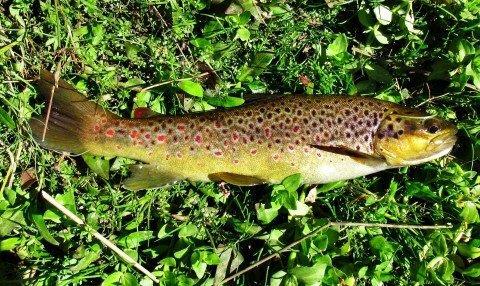 They yield good numbers of fish all year round but they fish exceptionally well for the first month to two months of the trout season. To use the correct nomenclature they are reservoirs, but anglers refer to them as dams, so that is what I have done. The Pet Dam is especially great for family fishing trips and the beginner angler. With access being suitable for the young, elderly and close flat areas are available for the physically impaired. 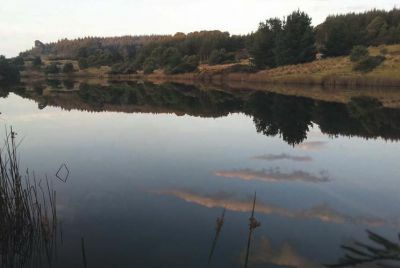 It’s a large open area with plenty of room for the kids to run about with a great opportunity to land a rainbow trout or brown trout. 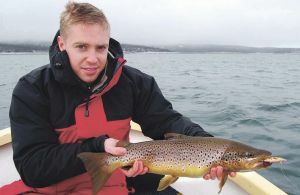 Tackling early season trout is a totally different proposition to fishing during the mild, calm conditions we had at the end of April. Fish have now spawned and are looking to put condition on, while the cooler weather of Spring is not conducive to insect hatches. Water temperatures are very low and levels are high. All of these things require different tactics. I will not discuss sea trout as they run and feed off a totally different set of circumstances. I will concentrate instead on inland lakes and rivers. 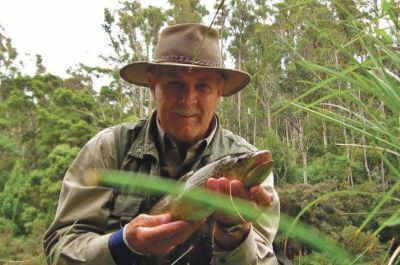 Trout seem to feed best in water temperatures of around 16 degrees, but you are not going to find much warm water in August and September. Having said that, I don’t believe that there is such a things as being ‘too cold to catch a fish’ as long as the water isn’t frozen over. Although water temperatures are far from ideal, a change of tactics will still bring results. Don’t expect enormous bags of fish but certainly enough to make it worthwhile. 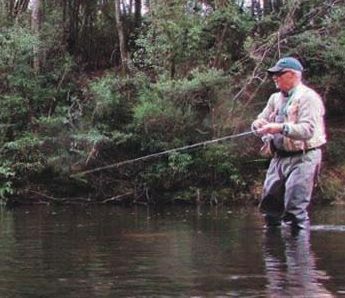 There has sometimes been a view that trout fishing is reserved only for the experienced angler, stories of hours spent trying to unravel the mysteries of the cunning trout by elderly gentlemen dressed in tweed is what often comes to people’s minds when they think of trout fishing. 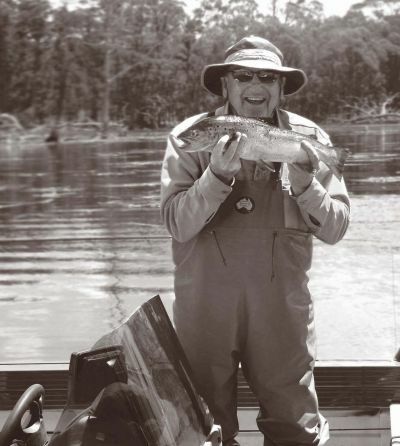 Regarded by many to be the premium, freshwater sports fish of the world, it is not surprising that the many anglers put the humble trout in the too hard box. 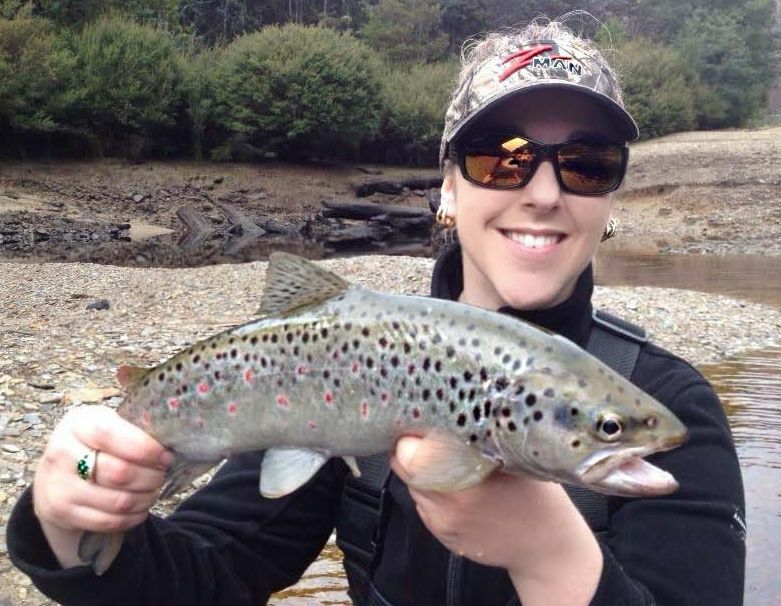 Truth is, trout can be as easily caught as any fish, perhaps not always as accessible and your bread and butter saltwater species, but none the less, with a bit of perseverance with the correct equipment and technique, results can come more quickly than you think! 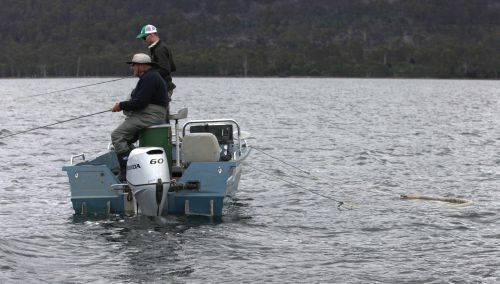 In recent years, more emphasis has been put on making Tasmania’s famous trout fishery more accessible to newcomers to the sport. This has been achieved by increased stocking regimes into waters with lower fish numbers, improving access to waters and more information resources available such as the Inland Fisheries Service (IFS) website and IFS Smartphone App. Angler surveys have also given the managers of our fishery a better understanding on how they can improve certain aspects of the fishery. 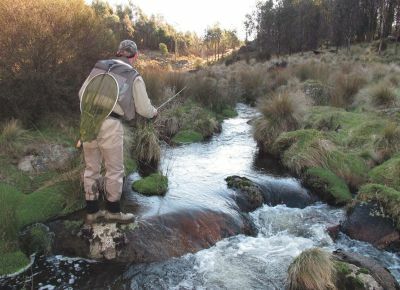 This year is the 150 th anniversary of trout fishing in Tasmania, and with a Ford Ranger up for grabs for buying a licence, what better time to give trout fishing a go? Here are a few tips to help you get started.